Heard About Kildare's World Swimming Champion? Confession. I would love to represent Ireland at something. Then having stood for the national anthem I would love to be crowned world medalist of something. Thankfully the thrill of all that is something thats open to anyone nowadays with enough drive and determination to put the training and hard work in. Ok that's where you can count me out! However a Kildare teenager who did have the drive and ultimate success to become a world champion is Eoghan Ashe. The head coach of the Maynooth Stingrays Swimming Team is loud in her praise of the young Cill Dara native tribute who returned from Canada with two silver medals at the World Down Syndrome Swimming Championships in Nova Scotia. Lynn Whelan said she was “indescribably proud” of the remarkable achievements of Eoghan Ashe in the backstroke and butterfly. “Eoghan competed as part of Team Ireland and at aged 15, was the only junior swimmer in the team - a first for Team Ireland,” she said. “Not only was he the only junior swimmer, Eoghan made it into the history books by becoming the first male swimmer to receive not one but two silver medals from finals after qualifying through the heat stages on a world level stage, a feat never achieved before on the Irish Team. “As a coach and on behalf of the volunteer team in the Stingrays, we are indescribably proud of Eoghan’s achievements and it's an honour to play even the smallest part in his success. 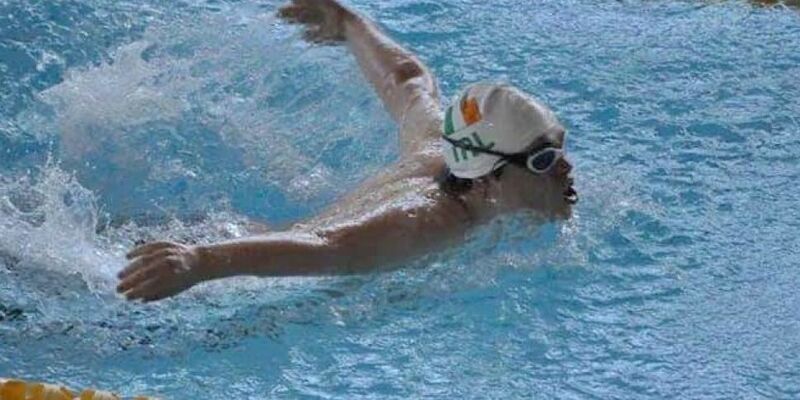 “He trains several times a week, with the Stingrays in Palmerstown, in Aura Trim and as part of the Curragh Swim Team. “To reach such a high standard of achievements is incredible and knowing Eoghan, there is so much more to come over the next few years,” added the very proud head coach. Neihbours and friends gave Eoghan a big welcome home. And of course Eoghans family are proud beyond words as you can judge from his Dad Padraig, well known in Kildare GAA circles. But all credit to the man himself and heres to more success Eoghan. Chomhgaireachas lad!